The perfect combination of comfort, style, and effortless functionality. 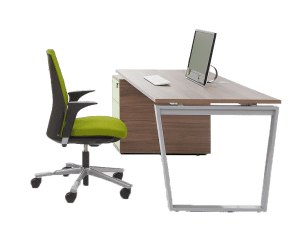 Classic and contemporary office furniture that perfectly reflects the unique personality of your business. Furnishing your office the right way is about much more than throwing any old chairs and tables together and calling it a day. It’s about finding comfortable seating and practical workstations that help your people fall in love with their workspace. After all, scores of research shows that when people feel good, they perform at their optimum best. 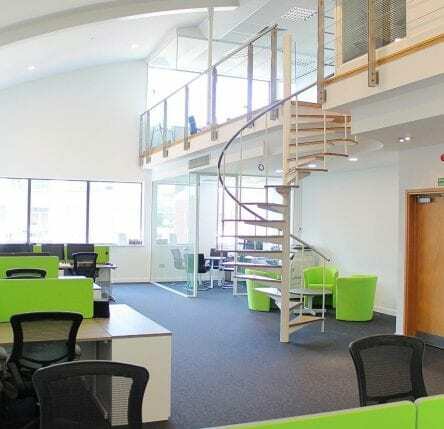 As we all know, optimum performance is a key factor -if not *the* key factor- in long-term success, so when you’re investing in office furniture, you’re not just investing in chairs and tables, but in the very future of your business. From ultra-modern to timeless classics: Unique designs to suit every space. Of course, that furniture needs to look the part too. 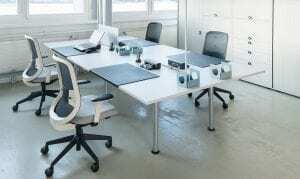 Your workspace speaks volumes about your brand identity, and your furniture needs to reflect that. 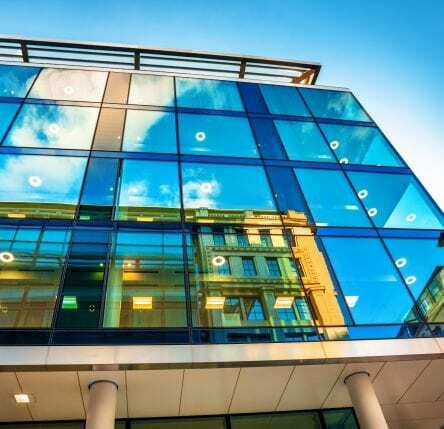 Whether you’re all about pushing boundaries and redefining possibilities or upholding traditional values that never go out of style, your environment should express the unique personality of your business. At Metric we’ll help you to the perfect selection of seating, workstations and more, all designed to help you show off your personality and create spaces your people will love working in. For 50 years, we’ve worked with the UK’s leading office furniture manufacturers, as well as a number of boutique designers, innovators and creators. 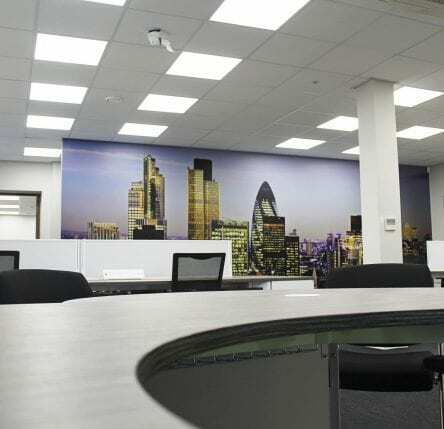 By doing so, we’re able to bring you an extraordinary selection of classic and contemporary office furniture to suit any budget, any space, and any style. 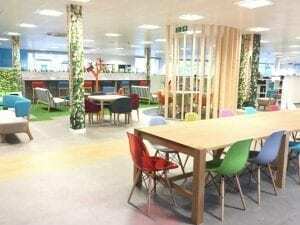 Want to create an environment that’s bright, colourful and extroverted? We can supply a range of pieces that are both practical and playful, making them the perfect addition to any vibrant, young office. Prefer something sleek and understated that captures a certain essence of contemporary minimalism? You’ll find a vast choice of distinctive designs guaranteed to look right at home in any office, boardroom, or reception area. Going for a classic look that says everything you need to say about the history, prestige and sense of tradition your business is renowned for? Talk to us, and we’ll help you find exceptional quality furniture expertly crafted by some of Britain’s longest-serving manufacturers. 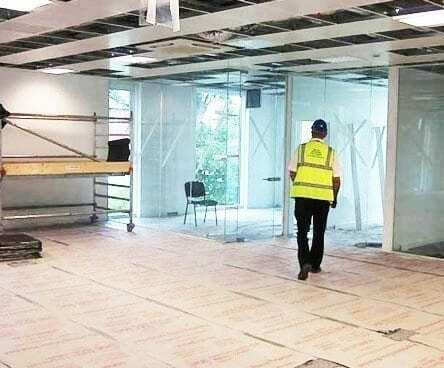 We’re passionate about helping businesses like yours create their ideal environment and can walk with you every step of the way through the buying process. Who says you need an unlimited budget to enjoy the ultimate in comfort and style? We offer a huge selection of quality used furniture as well as our own in-house upholstery service so that you can mix and match pieces and create the look you want for less. Seating is the true cornerstone of most major businesses. Whether we’re working on that all-important report at our desks, developing our next big game-changing project in the boardroom, or simply taking five minutes out for lunch in the canteen, almost everything we do at work is done sitting down. In many cases, this can mean spending as much as five to eight hours a day in some form of seating. Naturally then, that seating has to be the very best. It has to be sturdy, solid and durable to withstand hours upon hours of sitting. Yet often, it also needs to be lightweight and portable enough to help you enjoy maximum flexibility within your environment. It has to be designed to deliver optimum comfort and functionality in its specific purpose. After all, the way we sit at our workstations is different from the way we gather with colleagues for an informal chat in a breakout area. And yes, it has to look the part too, blending in and even enhancing the interior design of our workspace. Whatever look you need and whatever purpose you need it for, we offer a complete range of seating options designed to suit any situation and environment. Thanks to our well-established partnerships with the biggest names in UK office furniture, we’re able to offer an enormous selection of beautifully designed, exquisitely comfortable task seats to suit your exact needs. Allows us to offer you the broadest selection of traditional and modern designs so that you and your people can enjoy outstanding comfort and a sense of style that truly reflects your brand. From poor circulation and short periods of soreness to long-term spinal problems, hours of sitting down in the wrong position can lead to all manner of health problems. Ergonomic seating is designed to ensure you maintain perfect posture in a way that is healthy and, above all, comfortable. As well as ergonomic chairs for general use, we also work with manufacturers who can provide bespoke healthy sitting solutions to support users with a wide range of existing health conditions. 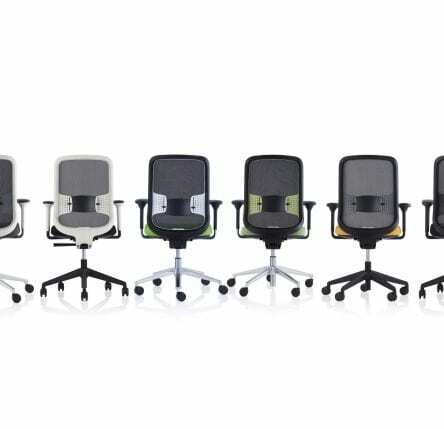 Memory foam seats and backrests, coccyx cut-outs, knee-tilt free-float mechanisms and split seats can all be incorporated into your staff seating to help alleviate musculoskeletal and back pain and create a long-term positive investment in the physical well-being of your team. 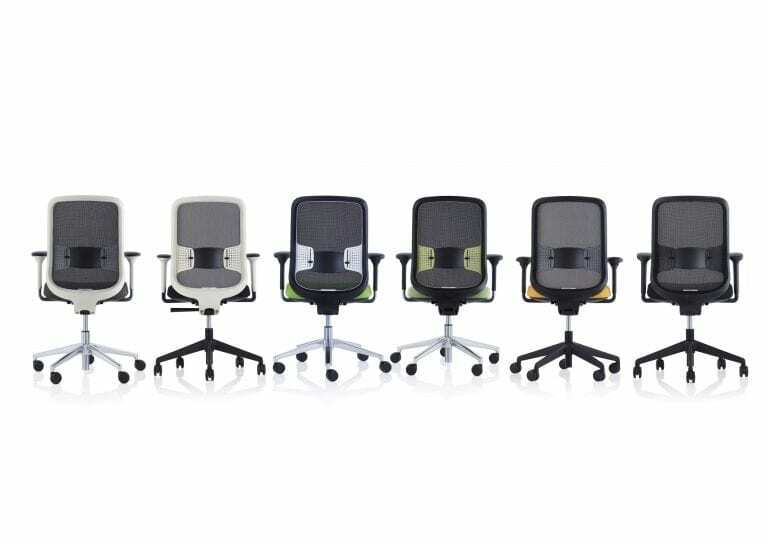 As with all our seating, specialist ergonomic solutions are built to the highest quality standards and come in a wide range of shapes, sizes and designs so that looking after your workforce doesn’t have to mean compromising on style. As the opportunities presented by modern technology move us away from an age of predominantly desk-bound workforces into one of remote working and collaboration, the traditional task-seat-and-workstation setup is no longer the heart of the office that it once was. 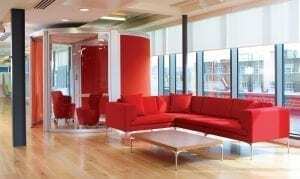 Though such furniture still has an important role to play in the modern office, that role is fast becoming secondary to that of soft seating solutions provided in breakout areas and creative spaces. 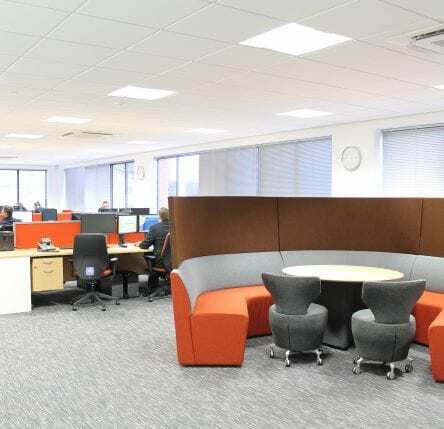 We offer an extensive range of soft seating and breakout furniture, available in a variety of materials and finishes to help you create comfortable, creative spaces that really express your unique brand personality. Using these spaces helps your teams to relax and feel good, and when people feel good, that’s when great ideas start to flow. Who knows, your company’s next best-selling product could well begin its journey as an idea thrashed out over a quick cup of tea between colleagues in your cosy new breakout space. Of course, it isn’t just your employees that can benefit from soft seating. 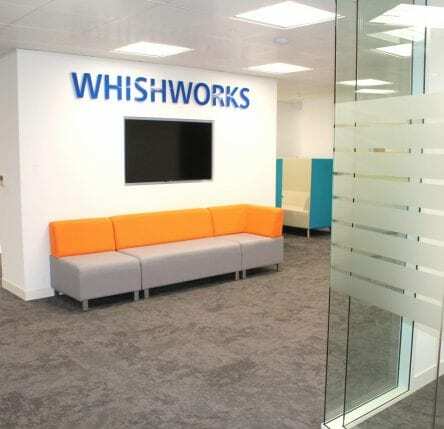 Placed in your reception area or outside your meeting room, the right seating can go a long way in creating a wonderful, warm welcome for visitors. That’s not to mention the multitude of health benefits to be enjoyed. Encouraging staff to move around during the day promotes well-being and improved posture. For decades, the humble desk has played a pivotal role in office spaces the world over. It’s here where ideas are brought to life, where creativity flourishes, and where dedicated staff carry out those essential operations that most businesses would flounder without. Such is their importance that most manufacturers have upgraded their status -and their designs- from mere desks to comprehensive workstations, personal command centres that serve to promote productivity and creativity. As the needs of modern businesses have changed, so too have these workstations, with designers constantly creating innovative new products that are available in a huge range of shapes, sizes and finishes to suit any environment. 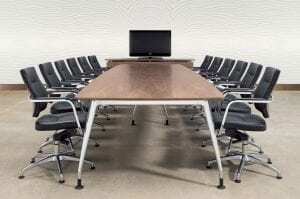 As such, you’re guaranteed to find the perfect desking solution for your business among an ever-growing selection. 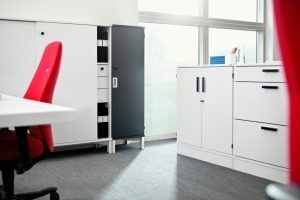 Whether your teams thrive in a hot-desking environment or personal workspaces, whether you’re planning to promote workplace health with sit-stand options or need solutions that give your top minds the space they need to create, we can guide you through a huge assortment of options and configurations. 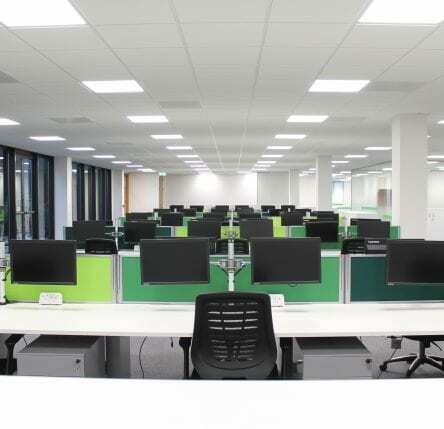 By working in partnership with leading UK manufacturers, we can also create beautiful, bespoke workstations tailor-made to the unique way your business operates. Staff well-being is vital to the long-term success of your company. Healthy, happy employees work more efficiently, create better ideas and produce greater results than those who are unhappy or demotivated. So anything you can do to improve employee morale and make yours an environment people love to work in is only going to reap positive rewards for your business. 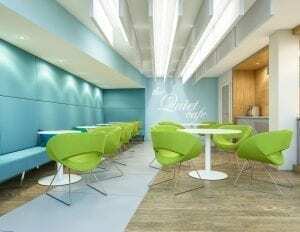 One of the easiest ways to do just that is to create comfortable, well-equipped canteen areas where your teams can rest, relax and recharge before returning to work, ready to fire on all cylinders. 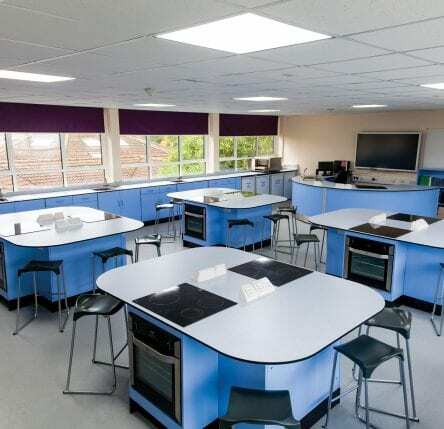 At Metric, we offer a broad range of canteen seating, tables and other furniture available to suit your space and your style, no matter what your budget. 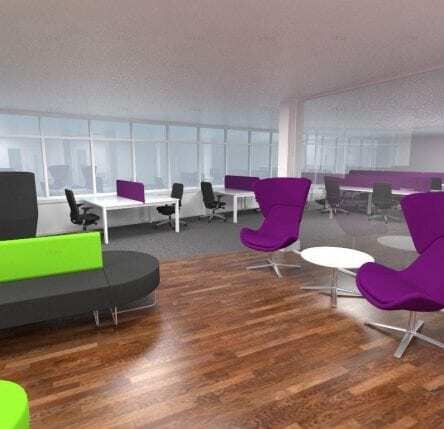 Using an assortment of soft seating options, pods, and tables, we can also help you to create alternative breakout spaces where your staff can collaborate, work on ideas, or get away from their desk and enjoy a new environment that stimulates their productivity. 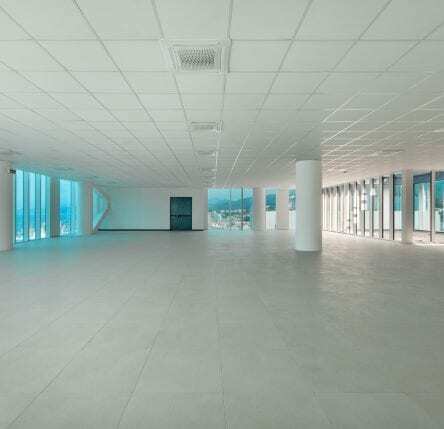 They say you only get one chance to make a good first impression, and nowhere is that truer than in your company’s premises. For most people, that first impression is formed the moment they walk into the building an enter your reception area. Get it right, and you’ll create a memorable impression for all the right reasons, one that impresses guests, customers and investors alike and that speaks volumes about the high standards of quality, professionalism and creativity you pride yourself on. Get it wrong, however, and you create an unwelcoming environment that may have those same guests, customers or investors heading straight back out the door, never to return. We help you strike the perfect chord with your visitors from the second they walk through the door by providing an extensive range of bespoke and pre-made furniture for your reception area. This includes desks, seating, tables, lighting and more. Not every company headquarters has the room for separate meeting rooms and breakout areas, but that doesn’t mean your business has to do without. Screening can prove to be an effective way to develop “space within a space,” creating the privacy you need in any environment. 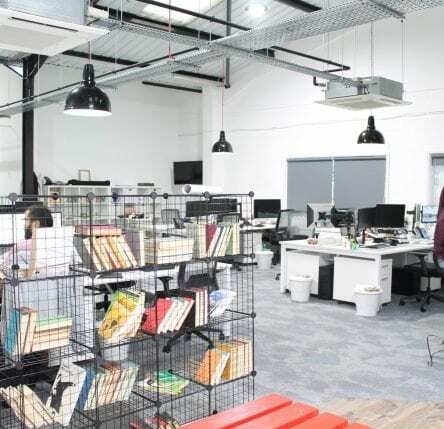 Storage Every business needs efficient and accessible storage systems and we can cater for your every storage need, from traditional filing cabinets through the bespoke storage. Even in the midst of the digital economy, every business needs some level of physical storage. From financial reports and valuable company information to stationery supplies, computer equipment and the wealth of gadgets and devices your teams need to do their jobs, all those items need a proper place to go if you’re to enjoy a clean, clutter-free office environment. We can help you create that environment with our selection of secure, versatile office storage solutions. Whether it’s traditional filing cabinets and classic items like the MultiDrawer system, or beautiful bespoke items designed to cater to the unique storage needs of your business, it’s all here. Through our partners, we can also offer a range of industrial storage solutions, personal storage such as lockers and under-desk drawers, and much, much more.